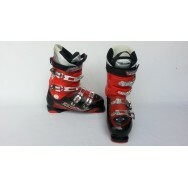 You can buy used ski boots at the best price. We offer Atomic, Dalbello, Salomon, Tecnica, Nordica, Lowa and more. Save up to 88 pounds. Thanks to innovative Hawx technology the Atomic Hawx 100 is able to inject exceptional comfort into ..
Atomic Hawx 130, UK Size 10.5 (4093) SOLD! The 130 flexing Atomic Men s Hawx 130 Elite Ski Boot provides aggressive skiers with the ideal balan..
Atomic Hawx Magna 80 is the entry ski boot in our wide-fit Hawx Magna series. This series means for ..
Atomic Hawx Plus, UK Size 8 (4045) SOLD! Thanks to innovative Hawx technology the Atomic H Plus is able to inject exceptional comfort into ev..
Atomic Hawx Prime 100, 2018, UK Size 9.5 (4147) SOLD! The Hawx Prime 100 from Atomic makes a great boot for the strong intermediate to advanced skier. Ato..
Atomic Hawx Prime R 90 W, 2018, UK Size 6.5 (4111) SOLD! The Atomic Hawx Prime 90 Ski Boots continue Atomic s ubiquitous, best-selling Hawx line with the add..
Atomic Hawx Pro, UK Size 10.5 (4091) SOLD! Thanks to innovative Hawx technology the Atomic Hawx is able to inject exceptional comfort into ever..